Yes, they took down my own track. 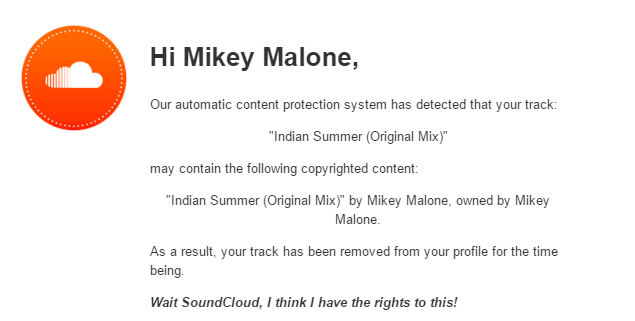 Things like this are why people are bailing on Soundcloud and it’s in so much trouble as a company. Sorry to anyone who was looking for the track. I’ve put in a dispute, just have to wait for them to fix their error.